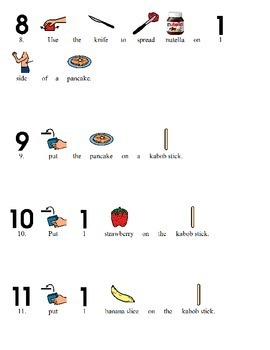 This is an easy, step-by-step visual recipe to make pancake, strawberry, banana, and Nutella kabobs. Each step uses pictures and simple directions. 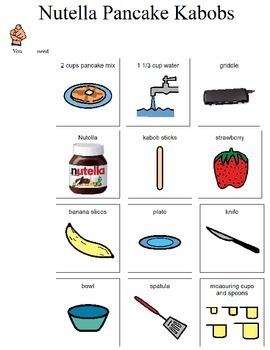 The pictures help increase independent reading and ability to follow step by step directions to make a snack. Great for life skills, cooking units, or party activities.